Not happy with the look of your old? All new equipment comes with a 2-year warranty. Or, if it’s just a new bell box you want installing, we can do this for just £75. Your alarm system can now call you!!! 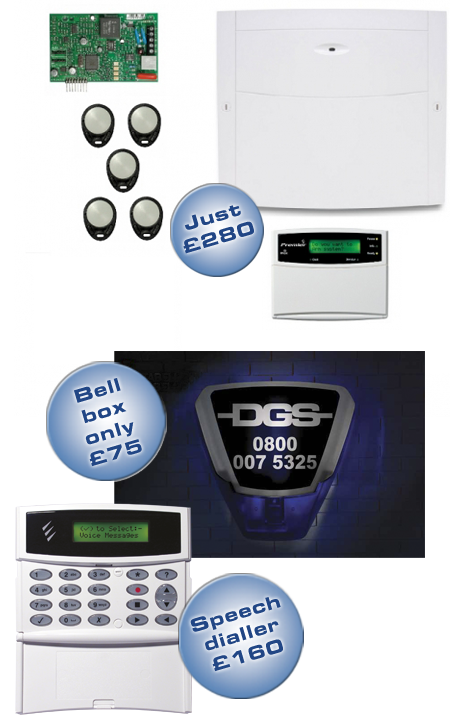 We can add a dialler to any existing alarm system, so that you know when your alarm has activated. It will call up to 8 phone numbers of your choice. Total cost to supply and fit: £160.